“That God creates by speaking means that in God the thought, the name, and the work are in their created reality one. What we must understand, therefore, is that the word does not have ‘effects’; instead, God’s word is already the work. What in us breaks hopelessly asunder — the word of command and what takes place — is for God indissolubly one. With God the imperative is the indicative. The indicative does not result from the imperative; it is not the effect of the imperative. Instead it is the imperative. “…Our complete inability to hold the indicative and the imperative together in our minds shows that we no longer live in the unity of the active word of God but are fallen. …Creation is not an ‘effect’ of the Creator from which one could read of a necessary connection with the cause (the Creator); instead it is a work created in freedom in the word” (Bohoeffer, Creation and Fall, 42; 43). Hello from a Catholic reader. I have a question: Is Bonhoeffer a Lutheran theologian in the same way that, say, Balthasar is a Catholic, or Zizioulas Orthodox? In other words, is he a specifically Lutheran theologian? Does he touch upon Lutheran distinctives like the reality of the Eucharist, Law vs Gospel, etc? Just curious, I don’t know much about Bonhoeffer. Thanks! Really enjoy the blog. Hi Ben. Thanks for your question. It’s always a pleasure to know that we are read by Catholics. Thanks for the reply. The postings here have encouraged me to read Creation and Fall soon. What other modern Lutheran theologians do you plan to treat in the future? I have read ELCA’s Robert Jenson’s “Systematic Theology”, and I learned quite a bit from it, though I don’t know how Lutheran it is–it felt more-or-less Catholic to me. I have read most, if not all, of Jenson’s 2-volumes and enjoyed both immensely. I guess I would have to say that his theology didn’t strike me as Catholic (if here you mean Roman Catholic). 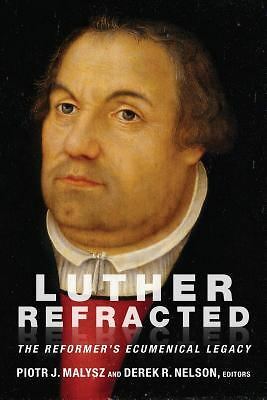 He was definitely conversant with Aquinas throughout, but beyond that I actually got the feeling that Luther’s theology was far more instructive for Jenson than anything else. I have to admit that I was also looking for his engagement with Balthasar only to find near the end of the 2nd volume Jenson’s admittance that he hasn’t been able to read much of vB. What sticks out in my memory was his emphasis on narrative and history in relation to the Biblical text and how the Church/Christians today need to be inserted somehow into that narrative and history. To me, that is a “catholic” emphasis which transcends modern-day denominations. But I might be missing something here as well. Ben, To your other question, about other modern day Lutheran theologians that will probably find themselves quoted by me in “Theological Fragments”; I can think of these off the top of my head: Carl Braaten, Robert Jenson, Oswald Bayer, Gerhard Forde, Timothy Wengert, Robert Kolb, Scott Hendrix. That is to name the ones that I can think of right now. And of course, we have a “modern Lutheran theologian” as one of the contributors on this site (Jonathan), so I am sure he will either be quoted by me or “quote himself” from time to time. Possibly some of the other contributors can chime in with which Lutheran theologians they find themselves conversant with and which will probably appear as parts of substantive posts on this site. Of course, since I am interested in American Lutheran history, I’m often more familiar with dead theologians rather than the living. Someone else would need to chime in with examples of Lutheran Biblical scholars. Another “modern Lutheran theologian” who I am not conversant with, but whose writings on dogmatics could be worth reading is Hans Schwarz. Perhaps someone else could share thoughts about him. I would also recommend the “Christian Dogmatics” of Francis Pieper and C.F.W. Walther’s “The Proper Distinction Between Law and Gospel.” Both are bedrock Lutheranism at it’s best.